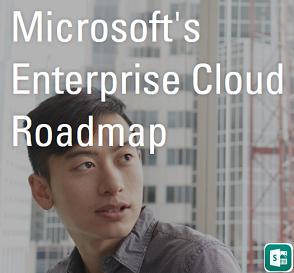 Exchange Anywhere: Moving to Hybrid Cloud with Microsoft Azure MVA Course!!! Moving to Hybrid Cloud with Microsoft Azure MVA Course!!! 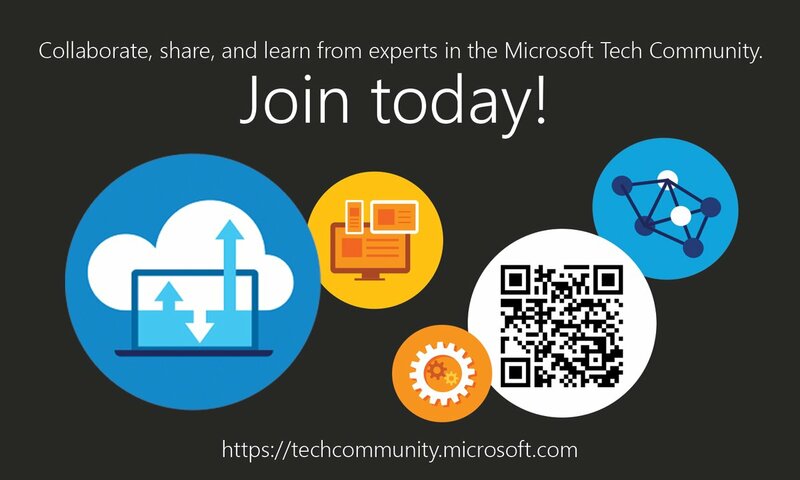 Microsoft Azure is gaining momentum and Microsoft Azure team is continuously innovating more with Azure in terms of their "Mobile first, Cloud first, " strategy and in this recent Teched NA 2014 various enhancements to Azure was released and here is the reference to know them in detail which puts us on the edge of the Technology, with this being said, now we need to know what is available with Microsoft Azure and how we need to move our work loads to Azure and extend our Organization's boundary to the cloud, The most suggested method to migrate to cloud or adopt cloud is the "Hybrid Model" which makes you to manage both these environment seamlessly from one place and move your workloads as needed. 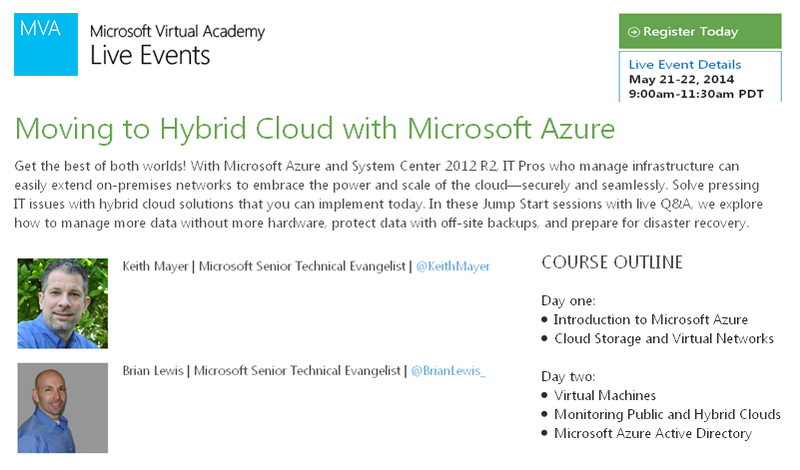 In order to know more on this attend the upcoming Microsoft Virtual Academy Jump Start course on "Moving to Hybrid Cloud with Microsoft Azure" scheduled next week and get a chance to know more on various great topics from Microsoft experts Keith Mayer and Brian Lewis | Microsoft Senior Technical Evangelist and get ready to move to Azure.